Snuggle up in our winter nursery bedding roundup! The arctic conditions of our extra cold winter this year has sent me running into a bedding panic – no one wants their little ones waking from the cold at night! 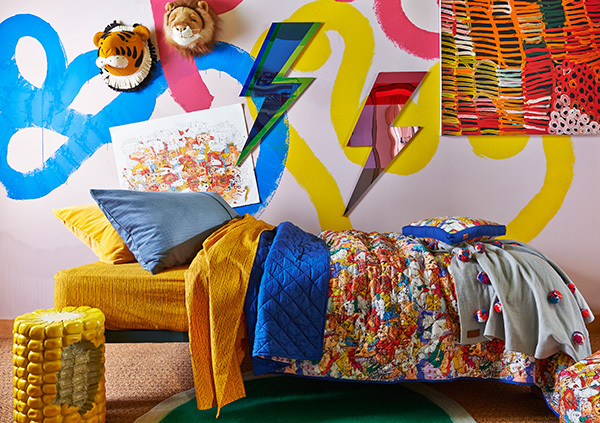 With that, we give you ten of our children’s bedding and blanket favourites for building a perfectly snug winter bedtime cocoon. Far from being a snooze-fest, Little Yawn showcases serious screen printing prowess with its gorgeously bright linen. 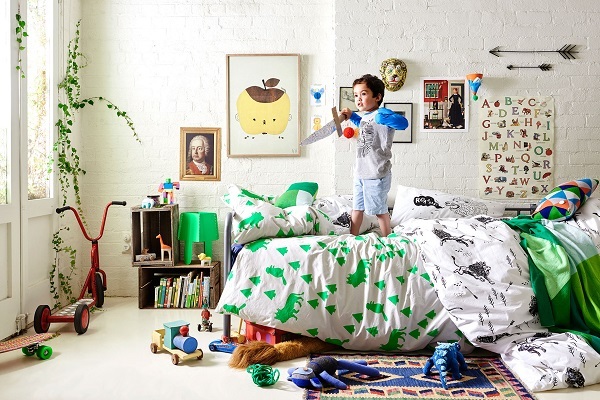 Such fun designs are sure to lift the bedtime mood from grey to yay! The Kip & Co collection is always cheery. They just keep the designs that kids love coming, from pizza slices, paint splotches, rainbows and fruit. 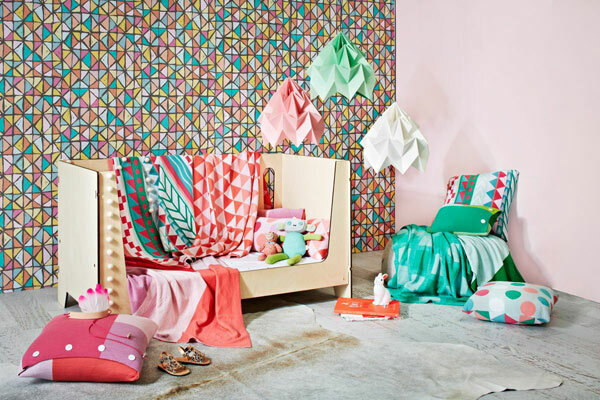 Kip & Co also do rather awesome velvet covers, throw blankets and quilted comforters for a hefty dose of cosiness. 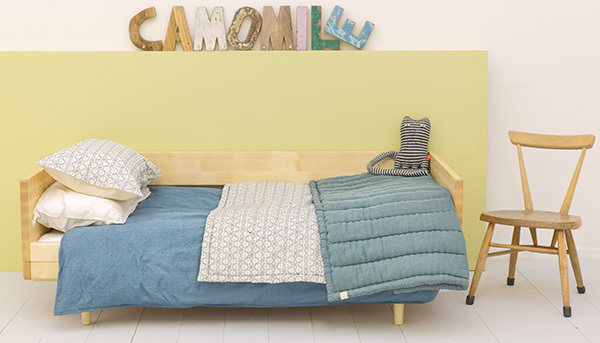 For those of us who love all things sweet and serene, head to Camomile London for all the sweet and subtle hued cot and toddler bed linen you can handle. As always, there’s treasure to be found in the virtual aisles of Etsy. We love this adorable Kiss Hug Baby Blanket from Yarning Made. 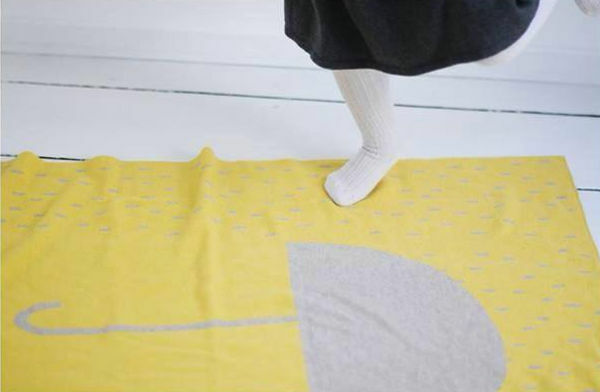 When it comes to modern baby blankets, no one does it quite like Nuvola. With styles that aren’t too grown up nor too babyish, Nuvola blankets make for a perfect winter baby gift to snuggle up with, for every season. Little children are wriggle pots, no doubt about it. 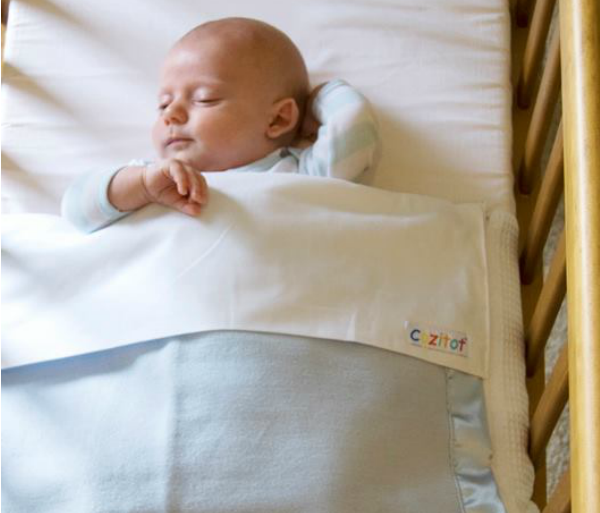 They move around their cot so much you’ll sometimes wonder if they got any decent sleep at all – one way to make sure their sheets stay put in the cot – even when their bodies don’t so much – is with Cozitots. Bigger children are not much better at keeping their covers on and for that reason, Bedsok sheet sets are an invaluable winter tool. A zipper secured sheet system means sheets stay put on single and king single sized beds. You can even find cotton flannelette sheets here! 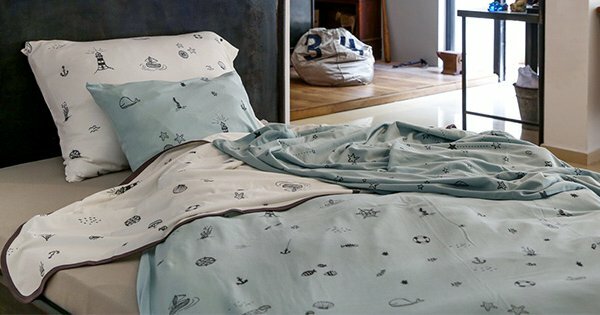 A planet theme will have children rocketing off to sleep in no time (maybe) – be sure to see our post on the luxe linen from Ndoto. From cot to single bed, you’ll find it all here in beautiful Egyptian cotton jersey. 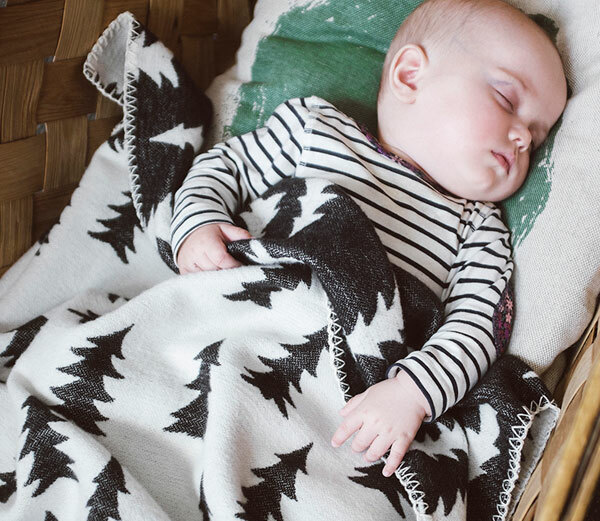 When it comes to choosing blankets that will be as at home in the living room as it would be in the nursery, it absolutely must be the stunning merino wool blankets from Uimi – the musk Indiana kids blanket has my heart five times over. Kids blankets are available in bassinet and cot sizes, making them great choices for both pram and home! Nope, I haven’t finished teasing you with the cutest of blankets just yet, for I’m yet to mention those from Fine Little Day. Monochrome? Tick. Reversible? Tick. Funky as all get out? Absolutely. Equally contemporary and Scandi style cute, Fine Little Day blankets are made from skin friendly organic brushed cotton.